Finding apartments for rent in Reef Island isn’t a trick anymore since our property listing page in Weetas website offers a wide set of real estate options in the area ranging in price and varying in all types and specs to meet the different demands. The available Reef Island apartments for rent reveal a top standard in the lavish living standard unrivalled in all Bahrain. Most of Reef Island apartments offer scenic sea views of the Arabian Gulf shimmering and clear waves, they display also panoramic views of Bahrain skyline. 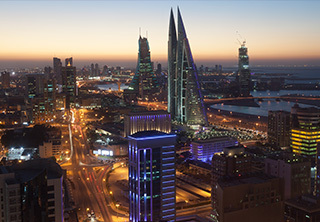 Reef Island lies in the heart of Manama, it has a direct access to King Faisal Highway which connects it to the rest of Manama and Muharraq Governorate. The project of Reef Island was first proposed in 2000 and development started in 2004. Work on the man-made island completed in 2010. The project is developed by Lulu Development which is a joint venture between Bahrain government and Mouawad Group to be the first major development carried out by a partnership between Bahrain government and the private sector. The project sprawls over a total area of 579,000 square meters of sea-reclaimed lands. It teems with many mid-rise buildings that abound with many flats. The displayed set of flats for rent in Reef Island include studios, one-bedroom, two-bedroom, and three-bedroom apartments. Property searchers seeking apartments for rent in Reef Island will find furnished and unfurnished options. Furnished flats have all needed house appliances along with high-end furniture, they are favorable for those looking for ready apartments to promptly use. On the other hand, unfurnished apartments are more favorable for those who prefer to deck out their homes on their own. A diversity of residential units is available to check, just browse our lists to get all what you are looking for. Located in a close proximity to Manama’s top shopping malls like Seef Mall, Bahrain City Center, and Avenues Mall, Reef Island residents will have multiple destinations to hit during their leisure time. Also, the project has a fantastic sea looking promenade where many fancy restaurants and cafes are available. The apartments in Reef Island have access to a wide range of amenities including swimming pools, saunas, steam baths, fitness gyms, BBQ areas, and other. Reef Island offers expanses of green areas and parks that adds to its novelty. The availability of facilities is incomparable by any other residential development in the Kingdom. All buildings have security guards, CCTV cameras, car parking lots, and fire safety systems. Weetas users will find a diversity of listed apartments for rent in Reef Islands along with high-quality images and full details to meet their requests. After picking a suitable apartment, call our number to get assistance by one of our property consultants who will dedicate their full time and energy to help you all the way in your renting process. We are available all day long to receive your calls either for Reef Island apartments or any other location around the Kingdom.